Chemists at the University of Southampton have won a total of £800,000 in grants to work with the next generation of X-ray sources to examine structures at an atomic level. The light provided by these X-ray sources is similar to the sun's rays. Electrons are accelerated in a large ring, producing brilliant rays of light, finer than many laser beams. This facility is currently only available at a research centre at the CCLRC Daresbury Laboratory in Cheshire. However, a new £235 million complex, called Diamond Light Source, is under construction at Harwell science campus in Oxfordshire which will provide a world-leading light source from 2007. The University of Southampton research will take place in these locations alongside experiments from other higher education and research establishments. Scientists apply this brilliant light, called synchrotron light, to a wide variety of problems, including the examination of the atomic structure of viruses and the exact composition and properties of pollution particles such as nuclear fall-out. Sophisticated medical imaging is also possible. Work is also underway on the nature of materials at very high pressures, such as those found at the centre of the earth. 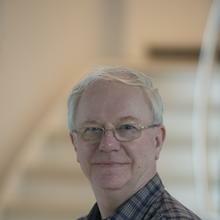 Professor John Evans is leading the work at Southampton and is a scientific advisor at Diamond. He said: "This is front line technology to determine and understand the molecular basis of the engines of life." His own work involves understanding how catalysts, such as vehicle catalytic converters, work and how to improve them. Grants have been awarded by the Council for the Central Laboratory of the Research Councils (CCLRC) and the Engineering and Physical Sciences Research Council (EPSRC). The Synchrotron Radiation Source at the CCLRC Daresbury Laboratory was the World's first dedicated X-ray synchrotron source, providing scientists from the UK and abroad with streams of X-rays which are used to probe and investigate the molecular structure of matter. It has been incredibly successful, leading to a scientific revolution in our understanding of the structure of matter, particularly in surface science and biological studies. Diamond Light Source is best described as a 'super microscope' housed in a striking doughnut-shaped building over half a kilometre in circumference covering the size of five football pitches. Diamond will ultimately host more than 30 cutting edge research stations supporting the life, physical and environmental sciences.